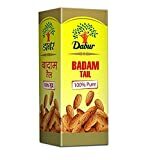 Lightning Deal - Mannat Dry Figs, 200g For Rs. 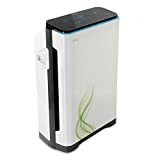 241 @ 40% OFF ..
Havells AP-22 35-Watt Air Purifier (White/Grey For Rs. 8145 @ 63% OFF ..
LuvLap Premier Stroller And Pram (Red) For Rs. 4999 @ 50% OFF ..
Pillsbury Rich Choco Oven Cake Mix, Celebration, 285g For Rs. 90 @ 45% OFF ..
5-YEAR WARRANTY: Bathla products are built to last. Each is manufactured with care from the highest quality materials in state-of-the-art facilities. This product is covered by a 5-Year Bathla Trust Warranty that guarantees its exceptional quality. ALL WEATHER RESISTANT:Built from rust-proof, high-grade aluminium and precision engineered HDPE components to ensure maximum corrosion resistance. Designed for use in all climates and weather conditions. SURE-HINGE TECHNOLOGY: Bathla's proprietary Sure Hinge Technology features double-locking pivot joints for a perfectly stable, wobble-free experience every time. ANTI-SKID SHOES: Specially designed PVC shoes give you unrivalled stability while the ladder is in use. Designe to enhance safety, they form a strong grip even on wet surfaces. SLIP-PROOF STEPS WITH EDGE GUARDS: Every step is designed with rows of parallel ridges that give your feet a steady, slip-free surface during use. They also feature precision engineered edge guards to maximise safety. 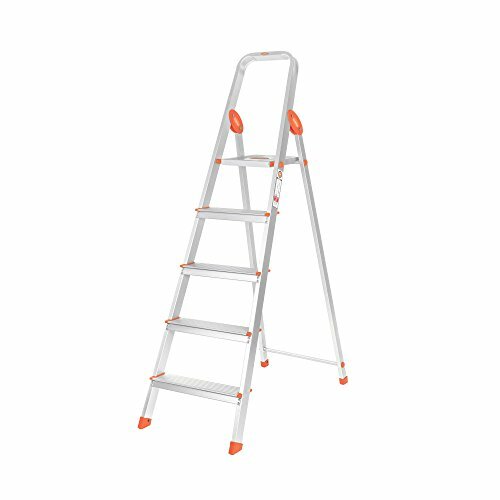 SMART PLATFORM: The smart-platform extends when the ladder is open and features a wide construct with serrated grooves to ensure slip-free use.